Set up Overperforming and Underperforming Digest Notifications for your main newsroom accounts to understand what is and is not resonating with your social audiences. These can help you analyze post framing and the post types (status, link, photo, video) that work best for you on social. For a full explanation of our metrics, check out the CrowdTangle Glossary. Use CrowdTangle’s Intelligence tool to create a visual representation of your account performance. This can help inform your social KPIs as well as spot patterns around your post frequency, post types and Interactions. Pro tip: use Intelligence for long term reporting (monthly, quarterly etc.) 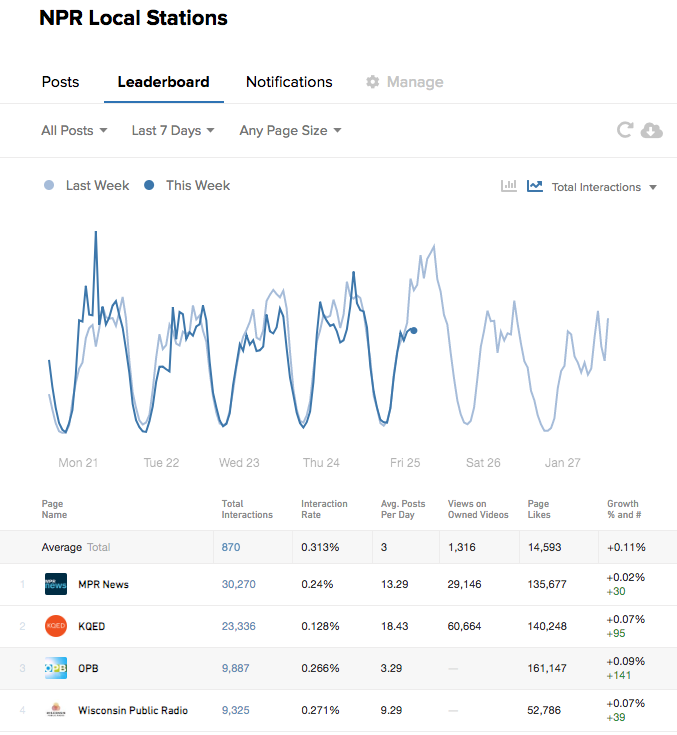 so you can so you can monitor or analyze your posting strategies. Use CrowdTangle's Leaderboard feature for performance data on newsroom, talent and competitor accounts to see top performers for any time period. Pro tip: set up leaderboard emails to go out to key stakeholders, including senior leaders, at your organization. Create CrowdTangle Live Displays to scale social data across your newsroom. Live Displays provide real-time data on how your accounts are performing, what your newsroom competitors and sources are posting as well as referral tracking. Pro tip: live Displays can be placed on a large screen in the newsroom, used in meetings or shared via the link across your organization. Export data using CrowdTangle’s Historical features to study long term trends for your posts and surface content that is driving growth over time. 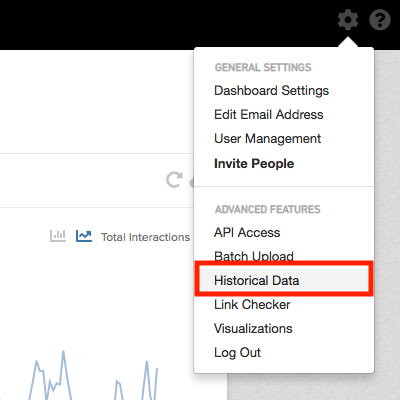 Pro tip: use Historical data to find top posts over a long period of time as well other information to help drive engagement. Use the Chrome Extension and set up Referral Tracking to discover where your stories are being shared across social pages, the communities you're reaching and the conversations they're having on your content. Pro tip: set up Referral Digests to have a roundup of posts of your stories shared by other pages.